MiniBrew | Elements Interactive — We build applications! MiniBrew is the world’s first all-in-one, small-batch beer brewing machine. MiniBrew simplifies the beer brewing including fermentation process and enhances the accuracy of each brew, allowing anyone to brew their own beer styles right at home. Making your own beer isn’t a dream anymore. With MiniBrew, anyone can become a successful tastemaker! 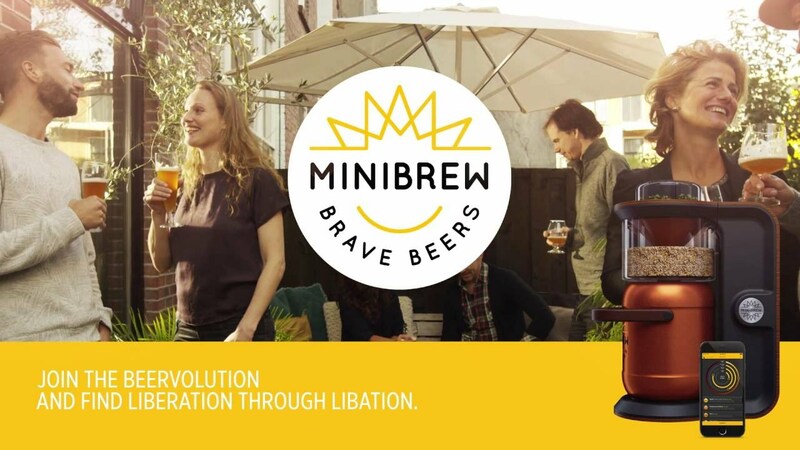 Dutch startup MiniBrew, successfully funded with Indiegogo and Sprout Startup of the Year in 2016, intends to shake up the beer brewing world with their revolutionary beer brewing machine, which is controlled by a smartphone app and communicates in real time with the MiniBrew servers. The Minibrew is a little keg with a big brain. When we first met the company in 2015 they offered a whiff of high-tech to the brewing process, adding a monitored brew vessel and mobile app to the age-old technique of slopping a bunch of wheat, yeast and hops together until something tasty came out. As their development partner, Elements works closely with MiniBrew on developing and improving the Python API backend. Elements also created MiniBrew’s corporate website. Besides detailed information on the product, the website features a webshop where the brewing machine can be preordered and a blog where product updates are regularly posted. We launched the new MiniBrew.io website end of July 2016. At EuroPython 2016 in Bilbao, Elements’ Chesco Igual held a technical presentation on MiniBrew and best practices of the backend architecture. A video recording of the talk can be viewed on YouTube. You can view the MiniBrew website at https://www.minibrew.io.